As one of the area's leading water damage and flood cleanup companies, we feel it is our duty to inform you of the necessity for flood insurance It's Spring again, and last year, (2014), the floods in this area were unimaginable. It is time to consider your flood preparedness. 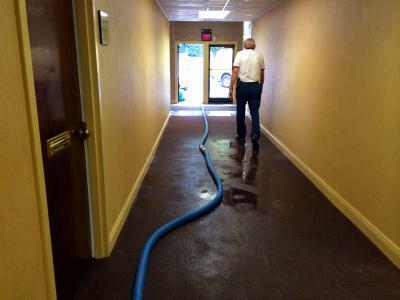 We perform water damage mitigation. We have been doing it for over 30 years in Mobile and Baldwin Counties in South Alabama. As such, we have seen nearly every type of water damage cleanup job there is. ServiceMaster Advanced Cleaning is the largest ServiceMaster group of companies specifically performing water damage and mitigation services in the Mobile and Baldwin County area. ServiceMaster Advanced Cleaning, The Master of Disaster, has been in operation in the Mobile area for over 25 years and has handled some of largest water damage and fire damage cleanup jobs in the Mobile area. From tornado cleanup jobs during the tornadoes of Christmas 2012 in Mobile, and in Hattiesburg, MS in 2013; to hurricane cleanup jobs in Hurricanes Ivan, Katrina, and every Spring rain and flood event to happen in the area in the last quarter century, ServiceMaster Advanced has been there. We didn’t just begin our mitigation company last year, we have been here all along and have steadily grown with the community and helped the parent company innovate and improve the brand. 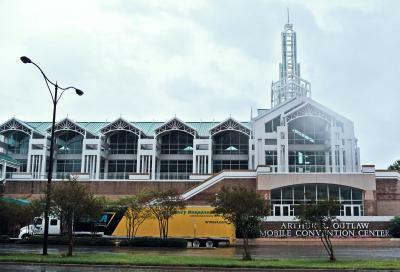 ServiceMaster Advanced Cleaning has performed mitigation jobs for the Alabama State Docks, The Mobile Convention Center, the RSA Tower, the AmSouth Tower, the Regions Bank Building, the University of South Alabama, The City of Mobile, The County of Mobile, Springhill College, Springhill Memorial, Mobile Infirmary, ST Mobile Aerospace, The Mobile County School System, The Corps of Engineers, The State of Alabama and many many more commercial buildings and thousands of homeowners. ONE VERY IMPORTANT MESSAGE THAT WE NEED TO CONVEY IS THAT MOST INSURANCE COMPANIES VIEW WATER THAT RUNS OVER YOUR THRESHOLD AS FLOOR WATER. THEREFORE, YOU COULD LIVE ON THE TOP OF A HILL AND NOT BE IN FLOOD PRONE AREA, BUT YOUR OUTDOOR STREET DRAINS COULD BECOME CLOGGED AND WATER COULD ENTER YOUR HOME. IT WOULD BE VIEWED AS A FLOOD, AND WOULD NOT BE COVERED BY TRADITIONAL INSURANCE. RATHER THAN TAKING OUR WORD FOR THIS, WE SUGGEST YOU CONTACT YOUR AGENT. IN APRIL 2014, WE PERFORMED A LOT OF WATER DAMAGE JOBS THAT WERE NOT COVERED BECAUSE THE CUSTOMER DID NOT HAVE PROPER INSURANCE. Based out of Mobile AL, Daphne, AL and Foley, AL, we serve the entire local area including Mobile, Citronelle, Saraland, Satsuma, Chickasaw, Prichard, Eight Mile, Semmes, Theodore, Grand Bay, Irvington, Bayou La Batre, Dauphin Island, Bay Minette, Loxley, Stapleton, Spanish Fort, Daphne, Lillian, Fairhope, Silver Hill, Foley, Elberta, Seminole, Magnolia Springs, Orange Beach, Perdido Key, Gulf Shores and every community in Mobile and Baldwin Counties in South Alabama; and Pascagoula, Gulfport, Biloxi and every community in Jackson and Harrison Counties in Mississippi. 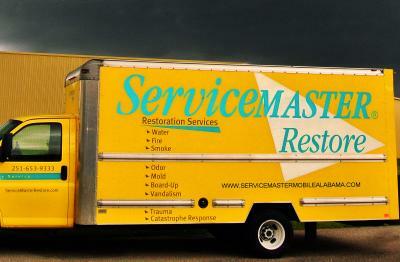 Here is a link to our site: http://www.servicemastermobilealabama.com for further information. If you find yourself in need of fire or water mitigation services for your home or business, or mold remediation, trust the true professionals, the company that the commercial industry turns to time and again, the Master of Disaster, ServiceMaster Advanced Cleaning. (251) 653-9333, (251) 928-1028 in Baldwin County, or (866) 653-9333 from anywhere along the Gulf Coast. Tell your insurance adjuster you want ServiceMaster number 7027, The Master of Disaster. "We would be honored to serve you."